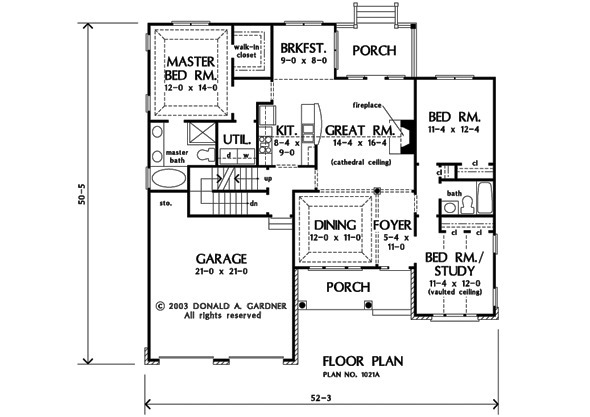 The Nicholson is a single living space brick ranch that offers a flexible floor plan. This award-winning small home delivers so many features in a budget and family-friendly plan.Brick and siding combine curb appeal with low maintenance. With tray ceilings in the dining room and master bedroom, and a vaulted ceiling in the study/bedroom, this home showcases custom features. The family-efficient floorplan defines rooms without enclosing space, and the bonus room is located off the kitchen and garage. 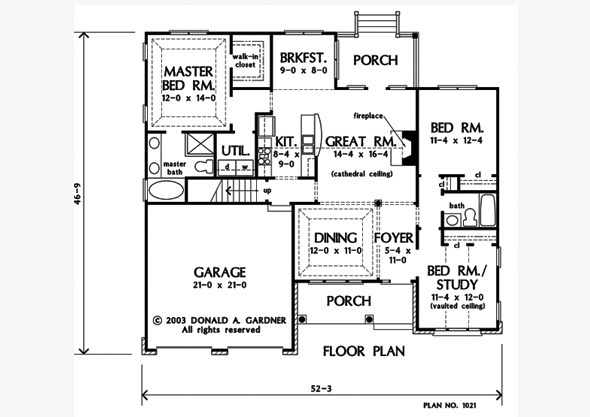 The bonus room's square footage is not included in the total square footage, so with 311 extra sq. ft., the bonus room offers many possibilities for future expansion. 1st Floor: 1486 Sq. Ft. 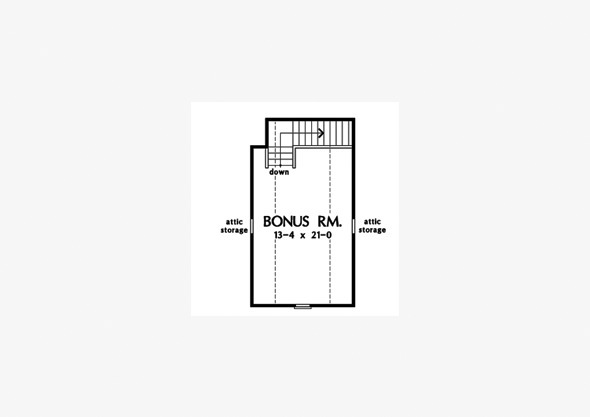 Bonus Room: 341 Sq. Ft.
House Dimensions: 52' 3" x 46' 10"
Great Room: 14' 4" x 16' 4"
Dining Room (Tray): 12' 0" x 11' 0" x 10' 6"
Great Room (Cathedral): 14' 4" x 16' 4" x 17' 0"
Kitchen (Cathedral): 8' 4" x 9' 0" x 17' 0"
Breakfast Room : 9' 0" x 8' 0" x 9' 0"
Utility Room : 5' 8" x 6' 4" x 9' 0"
Master Bedroom (Tray): 12' 0" x 14' 0" x 10' 6"
Bedroom / Study (Vaulted): 11' 4" x 12' 0" x 11' 1"
Bedroom #2 : 11' 4" x 12' 4" x 9' 0"
Porch - Front : 16' 9" x 6' 0" x 9' 0"
Porch - Rear : 11' 10" x 8' 0" x 9' 0"